In a recent AJKD article, Morris et al examined a cohort of hyponatremia patients treated with tolvaptan and identified risk factors for rapid correction. 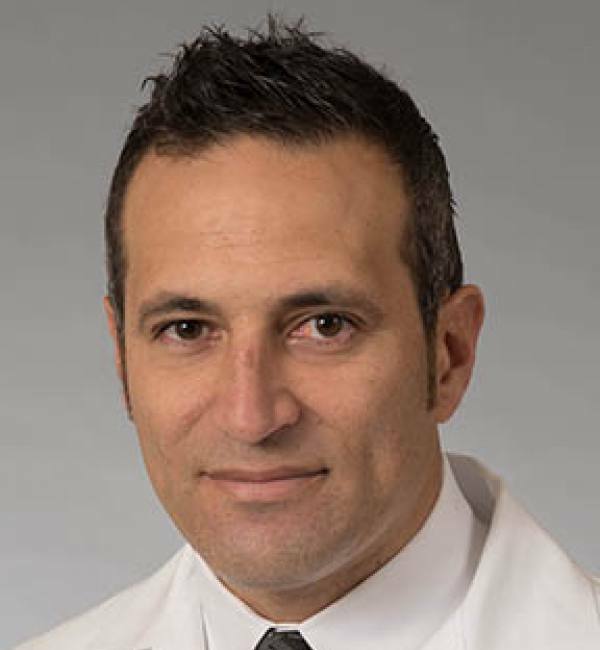 Dr. Juan Carlos Velez* (JC), one of the authors, discusses the findings in this interview with AJKD’s Social Media Editor, Timothy Yau (AJKDBlog). AJKDBlog: Can you tell us the background that led you and the other authors to examine the magnitude of sodium correction following vaptan use? JC: Our experience treating syndrome of inappropriate secretion of antidiuretic hormone (SIADH) with traditional measures such as fluid restriction, salt supplementation, and loop diuretics in the past had not been very encouraging. Thus, when vaptans became available for the treatment of hyponatremia a few years ago, we were eager to verify their reported efficacy. We quickly observed that SIADH patients exhibit a vigorous therapeutic response to vaptans to the point that some patients experienced rates of rise in serum sodium faster than that reported in the major SALT-1 and SALT-2 trials. That triggered our curiosity to better identify subjects prone to rapid correction. AJKDBlog: Your study excluded patients who did not receive an initial 15-mg dose of tolvaptan. How does a lower dose (eg 7.5 mg) or higher dose (eg 30 mg) affect water diuresis compared to a standard 15-mg starting dose? JC: Interestingly, this is an area that requires further study. Because SIADH patients almost always respond to 15 mg daily, there has not been a large scale study that I am aware of where a difference in aquaresis between various doses of tolvaptan was systematically tested in SIADH. Notably, a few isolated reports in the literature do suggest that daily doses lower than 15 mg, ie, 3.75 or 7.5 mg, may allow for a more controlled correction with less rapid rise in serum sodium. In contrast, by the time our paper was accepted, a new publication showed that lowering the starting dose to 7.5 mg may not be sufficient to reduce the risk of overcorrection. However, the number of overcorrection events was very low in that study making it difficult to give a lot of weight to their results. Altogether, the issue remains unresolved and it requires formal testing with a sizable prospective study. In our recent paper, we excluded doses different from 15 mg to minimize heterogeneity and to make our analysis as clean as possible. AJKDBlog: What hypothesis do you have for why the correction was greater in SIADH (euvolemic) patients compared to those with CHF (hypervolemic)? Trajectories depict change in serum sodium concentration during the initial 24-hour period following tolvaptan administration in the syndrome of inappropriate secretion of antidiuretic hormone (SIADH; black) and congestive heart failure (CHF; gray) cohorts. Dashed curves show trends based on the linear mixed-effects model adjusted predicted means in serum sodium measurements, whereas circular data markers show unadjusted mean values at each time point. Size of the marker is proportional to the sample size at each time point. ¥P < 0.0001 between slopes. Figure 2A from Morris et al, AJKD © National Kidney Foundation. JC: It comes down to renal physiology: CHF is a sodium and water-avid state where the delivery of water to the collecting duct (where vasopressin works by inserting water channels) is limited; therefore, less modifiable with a vasopressin receptor blocker. Even when distal delivery is enhanced with loop or thiazide diuretics during treatment of CHF, avid proximal tubular reabsorption still occurs in association with poor effective circulatory volume. On the other hand, SIADH is accompanied by reduced or unchanged proximal tubular reabsorption of sodium and water. Therefore, SIADH is a more responsive state to maneuvers that alter water handling in the medullary collecting duct. In addition, the glomerular filtration rate (GFR) is typically normal or supranormal in SIADH versus normal or low in CHF. As a result, drug delivery to the site of action may not be comparable between those 2 conditions. AJKDBlog: What other factors did you identify as correlates for rapid response to vaptan treatment? JC: In our experience, rapid response to vaptan could be avoided in the majority of cases. We have encountered numerous occasions when providers do not discontinue fluid restriction prior to administration of a vaptan. We have also occasionally seen administration of hypertonic or isotonic saline solutions overlapping with a vaptan. Those scenarios can certainly increase the risk of overcorrection and must be avoided to prevent osmotic demyelination syndrome (ODS). AJKDBlog: One finding that surprised me was that a low baseline serum urea nitrogen concentration was a predictor of rapid serum sodium correction. This is particularly useful clinically, as these patients will need more cautious monitoring, or a lower starting dose of vaptan if this therapy is chosen. How can you explain this correlation? JC: We do not fully understand the phenomenon. As we elaborated in the discussion of the manuscript, a very low blood urea nitrogen (BUN) concentration may reflect a greater degree of inappropriate secretion of arginine vasopressin (AVP), thereby leading to greater relative ability of blockade of V2 receptors to impact tubular water handling. Alternatively, the delivery of tolvaptan to its site of action at the basolateral membrane of the medullary collecting duct might be more effective in patients with a greater increase in total body water, higher GFR, and therefore lower BUN concentration. I do want to point out that our sample size is rather small and it is quite possible that in a larger dataset serum creatinine or GFR could perform equally or better than BUN as predictors. However, the signal seems to be clear in that parameters of kidney function along with the severity of hyponatremia should alert the practitioner of a patient with potential risk for rapid correction of hyponatremia. AJDKBlog: Even without water restriction, about a quarter of the patients in your SIADH cohort corrected their serum sodium more than 0.5 mEq/L/hr in the first day. Based on your data, do you recommend a different clinical approach for patients with SIADH that may be at risk for rapid correction? JC: Our data suggest that individuals with SIADH with serum sodium ≤ 120 and BUN < 10 are the most vulnerable for overly rapid correction of hyponatremia with tolvaptan. Thus, my personal approach in these patients is to cautiously treat with either 3.75 or 7.5 mg daily as a starting dose, depending on how severe the hyponatremia, as well as, how low the serum creatinine is. Clearly, a prospective controlled study would be needed before fully advocating this approach of utilizing lower doses of tolvaptan in SIADH. AJKDBlog: Thank you for taking the time for this interview! *COI: Dr. Juan Carlos Velez is a member of Speaker Bureau for Otsuka Pharmaceuticals, product Samsca (tolvaptan). To view Morris et al (freely available), please visit AJKD.org.